Westerville, Ohio can be a "cold and wet place 4-6 months out of the year" says Mitch Carley, the creator and illustrator that was the original "dreamer" responsible for bringing the "Smile in the Sky" to life. And when playing outside is not an option, a young imagination has plenty of time to take dramatic, exciting journeys across the sky. As a young boy several decades ago, Carley would sketch amazing drawings of a mythical flying friend, one that lived in his mind only. 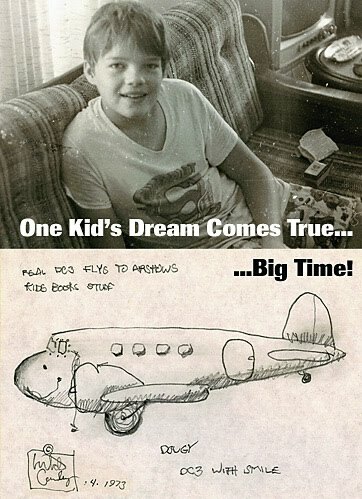 Some might have said the subject of these early sketches – a DC-3 called Duggy – might have been just a kid's harmless imaginary friend. How wrong they would be. Every kid has imaginary friends, but not every kid succeeds in making those friends literally come alive. Had these drawings languished forever in a box, never to see the light of day again, Duggy might have been relegated to stay forever hangared in Carley's fertile mind, just a fantasy fling with the far side of imagination. But, thankfully, it did not. We all have seen Duggy at airshows around the country, but maybe you weren't aware of how this particular DC-3 came to be painted bright yellow with a gigantic smile painted wide across his nose. If you've ever wondered what this beautiful teaching tool represents and how it jumped out of Carley's sketchbook to entertain us all, sit back and read this exclusive interview with Duggy's creator. In part one, we'll look at how Duggy came to life, and what stimulus was there to push him from paper to real-life. In part two, we'll look deep into Duggy's soul and learn why this airplane might be more alive than any one we have ever met. 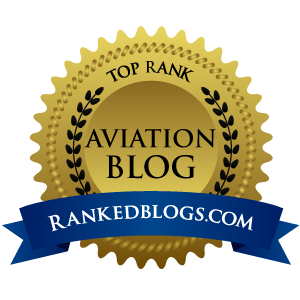 World of Flying: Describe your personal aviation experience or interests, if you have any licenses, ratings hours, or airplanes flown. Tell my readers any future plans to earn licenses of ratings. Mitch Carley: My experiences are that I grew up in a family where my dad specialized in rebuilding Cessna 120-140's as a summer and side 'personal' business. He taught A&P School in Columbus, OH for over 30 years. Each summer or two a fresh 120 or 140 would roll out of the garage and or basement. The center section and tail would be in the garage and the wings often would be refinished in the basement…quite a little factory. So, growing up assisting and enjoying the re-birth of these tail draggers really got my little mind running. My first flight would have been around first grade – or earlier. 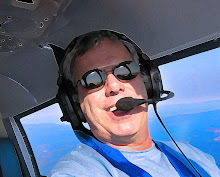 I flew as a right seater for decades…enjoying every minute, 1 dollar gas, no loans, low insurance, self-annuals and on…for my dad it truly was pleasure-flying. We traveled to air shows, Oshkosh, cross-country trips and so on. World of Flying: Let's go to the very beginning. Where did the first thoughts of Duggy come from? Describe how old you were, and your interests in aviation and DC-3s at the time. MC: Duggy was born in and around my activities as I explained above, comic books, Steve Canyon, Peanuts, Deal Wheels, BC…and on. All of those stimuli and the love of aviation (DC-3's) were brought together in my mind around 11 years old. I was given a report assignment "What do you want to be when you grow up…"
World of Flying: You obviously have plenty of illustration talent, but where did that come from? When you first started sketching Duggy, were others noticing your artistic chops at that age? MC: Westerville, OH is a cold and wet place 4-6 months out of the year. No internet, no Cable TV. But hey, I had paper, in fact my Dad would bring home non-ruled paper from work for me to use…that was like handing a laptop to a kid now. I admired and used to write letters to my heroes (my mom walked me through how to address, stamp and properly mail letters, packages), Milton Caniff (Steve Canyon), Charles Schultz (Peanuts), Dave Deal (Deals Wheels), Johnny Hart (B.C.) and everyone of them replied with an illustration (or two or three over time) with words of encouragement as they too looked at the work I sent them…that is when I knew I was in my groove…it was and always will be a hobby of love. All of this got going in a serious way when I started to walk through the neighborhood selling drawings, like kids used to sell seeds…8-9 years old. World of Flying: What happened with the whole Duggy concept between the time you made those important first sketches as a kid and when you pitched the idea to Robert Odergaard? MC: I shelved the idea as I grew-up and became a father with several jobs within Advertising Agencies. I realized the only time I would mention this is if it felt right…it never did for over 20 years…or more. Ron Kaplan the Executive Director at the National Aviation Hall of Fame brought Robert and I together. Ron knew us both and felt there was a fit…a true blessing. So from 1971 to 2005 there was no tangible movement on Duggy aside from many drawings, a few stories and thoughts of him daily in my mind for over 30 years. World of Flying: What was it about the Duggy project that convinced Robert to spend the money to re-paint his DC-3 to become Duggy? Did you have long personal conversations to convince him, or was it such a natural fit that he came on board immediately? MC: We both had friends at the first meeting. My friend Rob Challans, a jumbo jet Pilot and Robert has his friend, a savvy marketer, Doug Anderson. When I completed about a 20-minute presentation, Robert look at Doug and said what do you think? Doug reacted favorably with his reserved manner. Then Robert stated…"Well which one do you want to use?" I was floored. Robert was referring to the fact that he had 2 DC-3's to consider. So the answer, Robert came on board immediately.